Tuesday afternoon. 4.30. About 1000 of football’s finest – past players and partners and families – are donning the black tie and the finest frocks as they ready themselves to gather for the gala AFL Hall of Fame dinner at the Adelaide Oval. Across the border at Arden St Oval in inner Melbourne a crew of 40 mill around in the foyer of the North Melbourne Football Club. We range in age – most of the men would be familiar with F Troop, Countdown and Pot Black – but the evidence is there to say that most of us have made lunch and dinner central to the pursuit of our various enterprises. 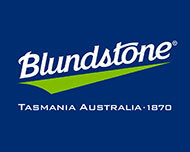 The youngest and fittest of our group (by far) are the three women – all of whom work in the Blundstone head office in Hobart. 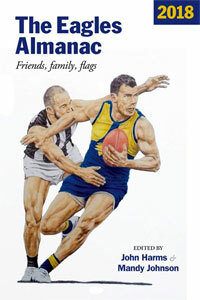 I am there as a guest of Blundstone who are wonderful supporters of the Almanac. They are our major sponsor. I say g’day to Steve Gunn, the CEO, a man who has played a lot of footy and cricket over the years – just not the recent years. “I’m looking forward to this,” he says. “Hope we survive it,” another bloke says in half-joking, a text-book example of gallows humour. It’s been billed as a training night but we are unsure as to the format. All we know is that we have been asked to come ready to train (gym? footy ground?) and to bring a change of clothes. Whoever wrote the invitation made it sound like we were to get an idea of how players are put through their paces. Blokes are nervous. Not just a little bit nervous. There’s serious apprehension wafting about the foyer. The tension is not helped when we are asked to sign a waver. Whatever our fate, we’ve agreed to it, and taken full responsibility for it. I. So blokes stand around in an array of T-shirts and footy jumpers – including a holy relic from Echuca East, the blue of Carlton, and a more recent North sleeveless. The staff are corporately dressed in a footy club sort of way. From the neat fits it seems skin-fold tests are even done on community engagement staff and list management staff and they bulge in all the right T-shirted places. They are bright-eyed and sharp. We have a few in reasonable nick but there’s some who seem to have stuffed a Tontine down the front of their T-shirts. Which is hard to disguise. We are herded into the lecture theatre where the list manager gives a presentation and then six North players are interviewed by Paul Riordan from their media department. Jamie MacMillan talks about the life of a player while Turbo Thompson explains his nickname which suggests some players understand irony. Lachie Henderson gives an appraisal of his 150th. Ben Brown talks about his unusual path to footy which has allowed him to also complete a journalism degree. Nathan Hrovat is as lively as a Fox Terrier. The North players are very generous. The whole session is insightful. We’re taking it in. But we’re still worried. Blokes sit their feeling the nervous pulse in their temples. How long since I’ve had my blood pressure checked? We’re listening but all in a climate of concern, wondering whether where we’re going to end up. On a tread mill connected to various computers? Which produce raw numbers and data analysis and printouts saying ‘Warning: hasn’t had his heart-rate above 140 since Geelong beat Collingwood in the `07 Prelim Final. 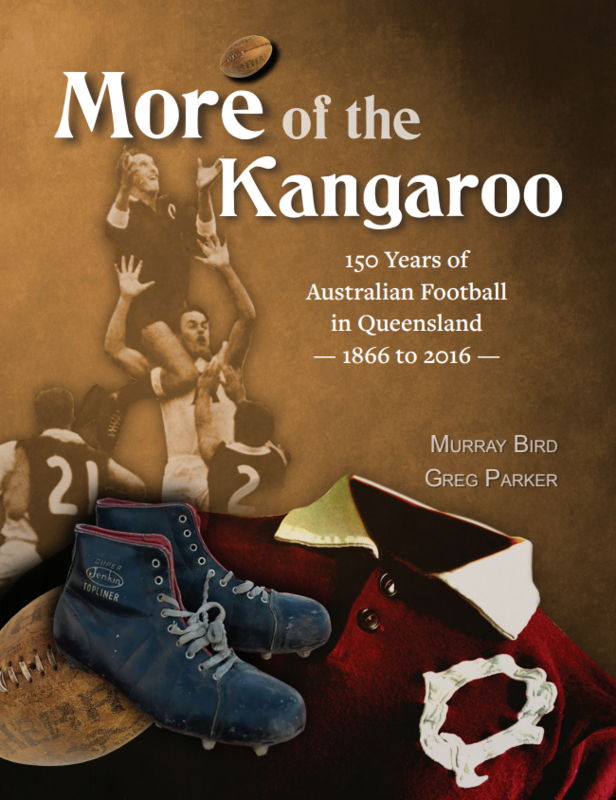 It also oozes history.We run out onto Arden St, a posse of the largest mammals to have graced the historic turf since the elephant got loose that day in the `70s. A footy ground is a great thing. The steam-breath is caught in the weak light reminds us all of those great days of yore. There are many footy stories in this crew. The players put us through some simple drills: kicking and handball run-throughs and a goal-on-the-run drill. We’re getting looser. Quads and hammies are allowing for the first signs of a follow-through. Some of the lads are timing their kicks and the familiar thud of boot on ball can be detected by those whose hearing is still good enough. Then, we have a game. One team is given green elasticised tops. They are small. We all look like the six greyhound Sandown. The ball is thrown up and the game flows – sort of. It’s actually not the worst footy and plenty get a touch or too and there are some who look like they’re still playing. Mostly it is fun. Because footy is often fun. What a feeling to run into space again and for someone to spot you! What a feeling to run past for the handball – not that we necessarily got one! What a feeling to get a chain of possessions happening! The video may discredit the romance of this description – but it’s my illusion and I’ll live in it. Then back inside for a quiet beer and a bite to eat and a chance to hear from the assistant coaches – Josh Drummond, Brad Green and Jarred Moore. It has been a brilliant night. 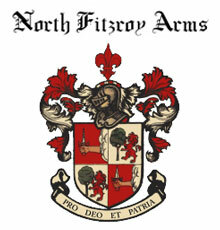 I doff my hat to North and the players especially. They could have gone through the motions, counting the minutes before they could get away. But they were into it: friendly, chatty and they took training knowing that it meant something to us. And as we all headed home there was a sigh of relief. We’re still here. 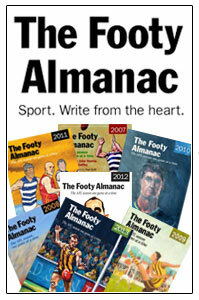 At home I catch Malcolm Blight’s interview as he is made a legend of the game. He says there’s something about footy which he got. A lot of us get it. 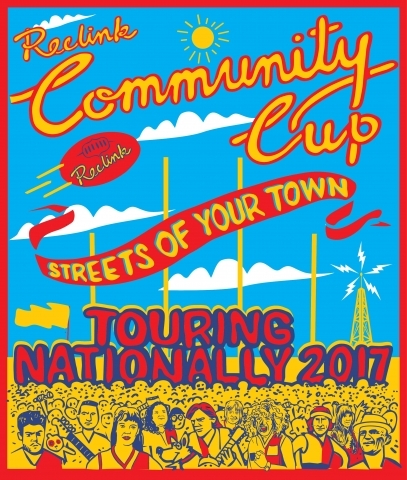 Come to Victoria Park this Sunday to enjoy Megahertz v Rockdogs in the time-honoured Community Cup. Fun footy. Brilliant music. 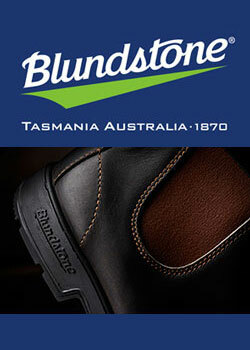 Blundstone are a key sponsor. John this is a very ill timed article. I am building myself up for the game against North Melbourne knowing the Bulldogs must win and win well. You go and write your usual good stuff that then leaves me with a warm and fuzzy feeling about North. I’ve heard that hammies actually rust if they are not used enough. That’s a fun night JTH. During these social footballing events I like it when the participants have a go at some torpedo punts (torpies) and for the old-schoolers; the drop-kick. The successes and failures are met with equal acclaim. That sounds like such a fun night to be in the inner sanctum of North Melbourne. To play a game on Arden Street track as well; I am very jealous, John. Just one game on Arden Street (and get a kick) and I’ll die happy. I played one game on Arden St, in 1992, for one win. The Victorian State Secondary Schools Grand Final. I still remember the paint peeling on an old boxing ring in the change rooms.